An official translation is the one generally performed for USICS and academic purposes (i.e. diplomas, school transcripts etc.). Often, individuals need a variety of different translations at once, so you will want to find the right translation team that can supply multi-branched solutions for your case. PickWriters has collected services that have a strong history of official translation expertise. DayTranslations.com guarantees that all the translations are done by professionals who are capable of providing flawless and mirror-image certified translations into more than 100 languages. The company works on localization projects for federal, state and local government offices. MorningTrans.com is among translation companies which provide services to both businesses and individuals dealing with all types of personal documents, government-related papers, contracts, receipts etc. It is known for successfully combining human and machine translation into high-quality documents. Universal Translation Services is the company which can provide premium quality translations at affordable rates thanks to a team of skilful translators, editors and proofreaders. The service works with any types or formats of documents and files presented in any form. GTS-Translation has an established network of translating experts from over 100 countries, and it enables us to work with more than 60 languages. Our team consists of professionals carefully selected based on their experience and suitability for a particular type of document. TheWordPoint company has been delivering official translation and interpretation services to a greater number of clients year-by-year. They partner with customers in almost any industry - from pharmaceutical to tourism. They continuously expand their team and have a secure background based on happy comments from customers. Transperfect.com is your most reliable partner when it comes to official translation services. The company always guarantees top-quality services and to all the customers and best-of-breed translation solutions to all the customers. RushTranslate.com provides 24-hour help with official translation from and into 63 languages. The company employs experienced translators from different countries and therefore, provides quick and widely accepted translations. 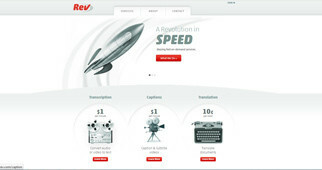 Rev.com values time and privacy of its customers. That`s why the company works with experienced translators who can perform quick and accurate translations from and into more than 35 languages and sticks to strict rules about privacy. TodayTranslations.com has more than a decade of experience in providing official translation services. All the services offered by the company are always high-quality and provided by a team of professional translators and interpreters. OneHourTranslation.com is your quick, affordable and reliable translation partner if you are in need of a quality official translation. Thanks to the team of certified translators from all around the world the company offers over 3000 language combinations. People work and live all over the globe. The concept of humans being born, living, and dying in their native countries has become a “thing of the past.” Given the global nature of business in the 21st century, people now live and work all over the place, and they take their families with them. This new “global” living has come with some details of relocation, some of which involve translated documents. Another common situation is that of students who wish to enroll in universities abroad. They need identification documents; they need accurately translated transcripts. All of these things mean that there is a need for official translation services. Government Related Documents: Customs documents, visas, immigration and naturalization paperwork, police records, etc. All of these needs are usually met through the use of official document translation services. But here’s the thing: Official document translation requires 100% accuracy. And there are a vast number of translation services that offer official translations. Some are excellent and can provide the certified documentation that you need. Others, however, are questionable. Your job is to find the official certified translation service that is reputable, professional, and that will provide the accurate translations that you need. First and foremost, you know that any official document translation constitutes a legal record, so that the document can be used for official needs. There are government standards that must be met, and they may involve certification and/or notarization from any translation service you use. Most reputable official translation services will provide two types of certifications – certified and notarized. Certified Translations: Official translation needs to be verified in some way, in order for government and other agencies to accept it. Any agency offering certified translations will also provide a signed and stamped certificate of accuracy, which verifies the accuracy of the translation and the qualifications of the translator who completed it. Notarized Translations: Some government agencies and other organizations (e.g., schools) require notarization in addition to certification. This means that an official notary public will sign and attest to the fact that the document has been accurately translated by a qualified translator. When you look for an agency to translate your official documents, make sure that they offer both of these certification options. And, in order to ensure that there are no snags in acceptance of your documents, you may want both certification and notarization. Better safe than sorry. Do they have translators who are native speakers of the target language you need? Can they provide references that you can contact on your own? Don’t take on-site testimonials as proof. You want to contact references directly. Do they rely on manual or machine translation? You want manual translation of critical documents. Do they provide a second qualified individual to review the original translation? Are their prices competitive? You can easily research pricing from a number of agencies. Can they meet urgent deadlines? You may not have a current urgency, but something may come up in the future that will require a rapid turnaround. Do you have access to the translator who has been assigned to your order? Do they have a customer service department that is available to you around the clock? Time zones really necessitate this. If the agency is located in the U.S. and you are in Germany with an urgent need, you should be able to get a hold of someone immediately. The other thing you will want to look for are objective reviews that have been published on translation service review sites. These will usually give a detailed summary of services, certifications, and feedback and comments from customers who have used their services. Official translations are too important to be left to chance. Make sure that you do your homework and select the service with a strong history in translating official documents.